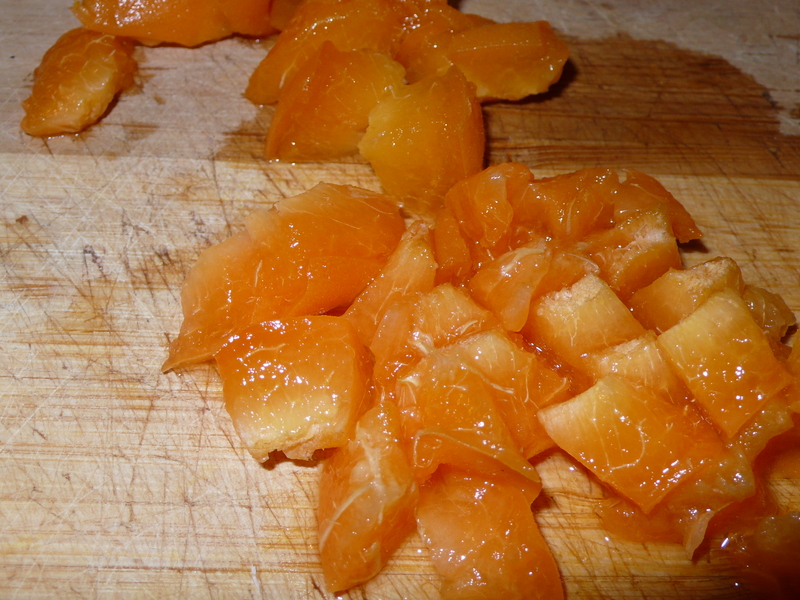 Apricots, a sweet and wonderful treat. 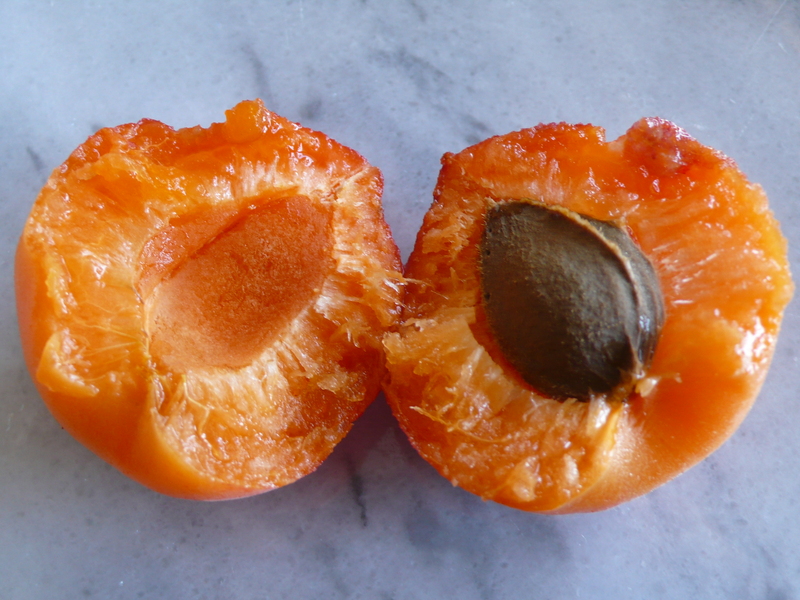 Prior to living in Italy, I had never seen, let alone tasted, a fresh apricot. 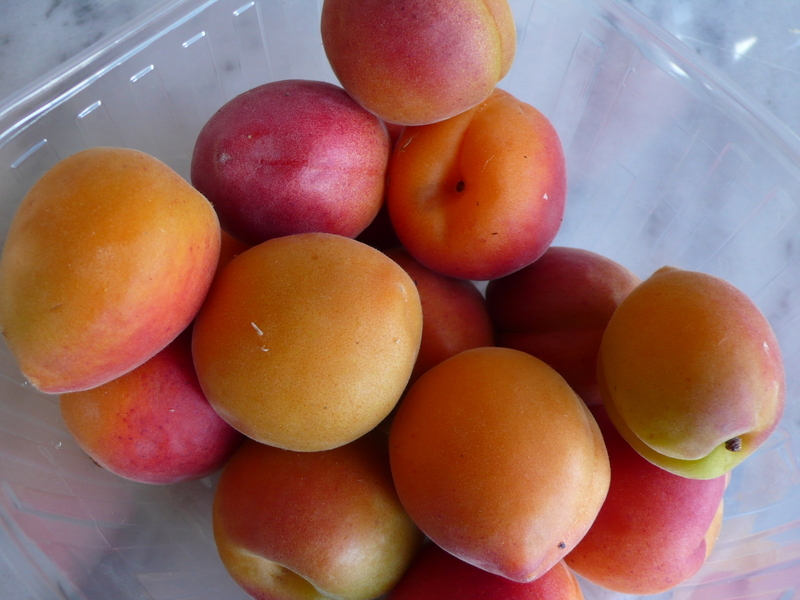 They are abundant and sweet in Puglia, at every fruit stand, heaven in a stone fruit. We’ve been eating them by the kilo, not making anything special with them, just washing, opening and popping in our mouths. I’ve put them in salads and decided to try them in a pasta. 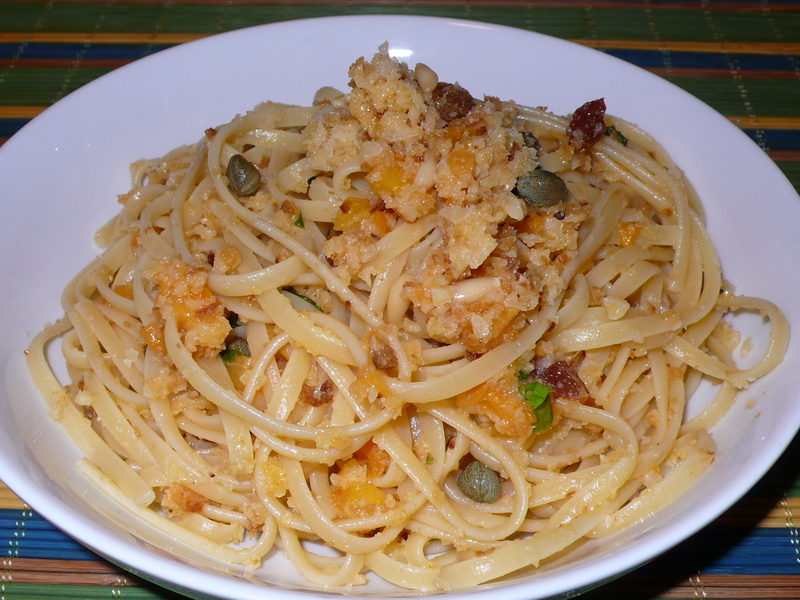 We had a lot of the filling for the alici alla beccafico leftover and I didn’t want it to go to waste so I tossed it over linguini the next day and added a little mint and chopped apricots for a little sweetness. Delicious. Fill a large pot with water for the pasta. Bring to a boil over high heat. Toast the bread in a drizzle of oil. When the bread is toasted mix it together in a bowl with a tbsp of lemon juice, a tbsp of olive oil, lemon zest, the sugar, and a pinch of salt and pepper. Heat a small pan over low heat with a drizzle of olive oil, add the anchovies and allow them to dissolve into the oil. When the anchovies have dissolved add them to the bowl with bread. 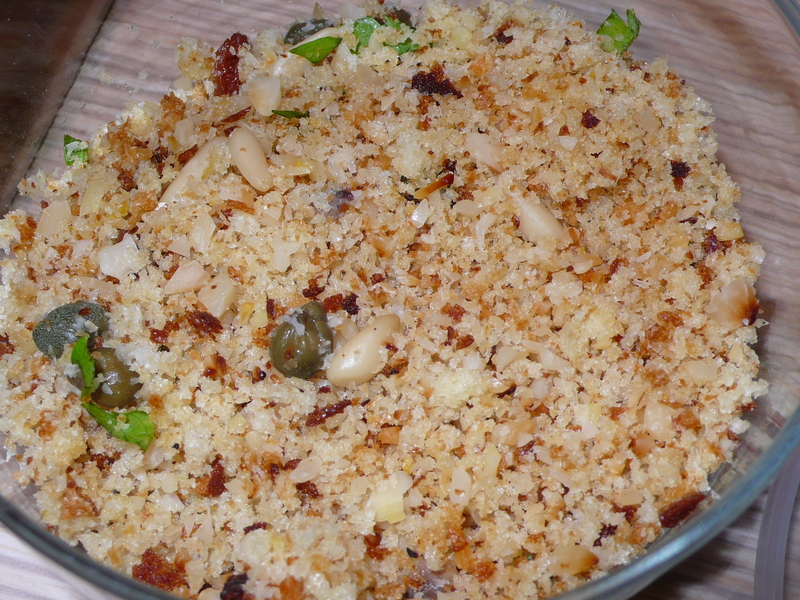 Add the chopped parsley, capers, raisins, pine nuts and chopped almonds, mix well. Once the water starts to boil for the pasta add a small handful of salt to the water and bring to a rolling boil. Add the pasta and cook until al dente. When the pasta is perfectly al dente, set a cup of the pasta water aside so that the pasta doesn’t get too dry. Without shaking all of the water out of the colander pour the pasta back into the pot and toss it with apricots and the breadcrumbs. 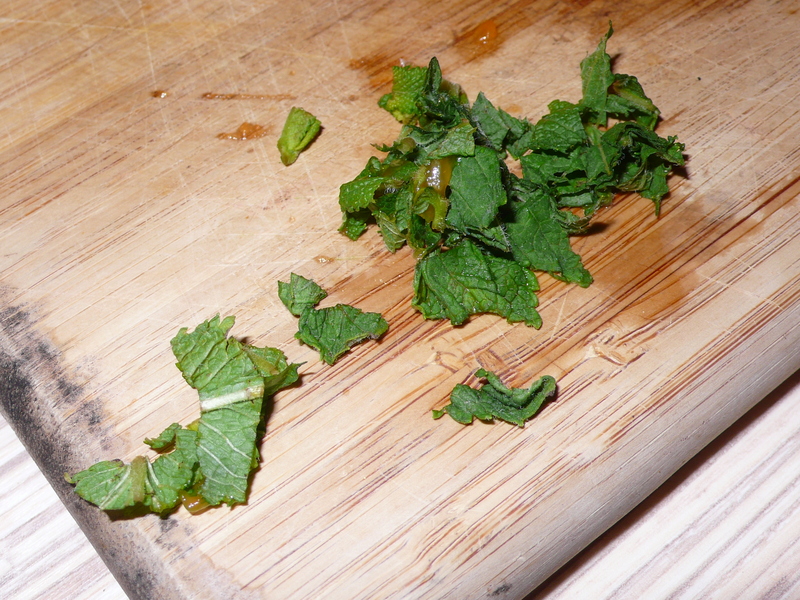 Add water as needed and finish with the mint and a drizzle of olive oil. ~ by italicious on June 11, 2012.